Help! I need a doodle that didn’t fit into any of the other awesome categories! Equation Arts > doodle art > Help I need a doodle! > Help! I need a doodle that didn’t fit into any of the other awesome categories! 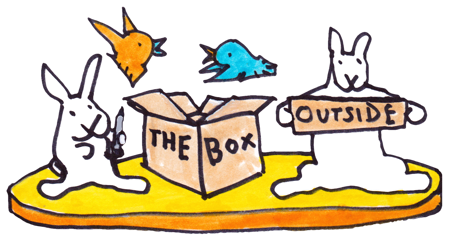 Okay, let's doodle outside the box. Tell me your doodle emergency. 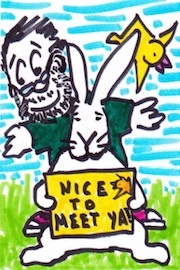 Does this doodle need to feature any special animal? Criminy! 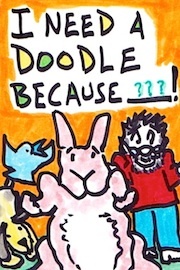 Every mystery doodle needs a catchphrase, doesn't it? What are your favorite colors for coloring outside the lines? People? Places? Things? Verbs? Help me parse this doodle. The next step is to click "Criminy!" which will send this info to me and bring you to the page where you select the size of your doodle and then it is checkout time. Electric orange? Navy blue? Periwinkle? , but I like that about you.